According to the official narrative, on February 14, 2018, a mass shooting occurred at Marjory Stoneman Douglas High School in Parkland, Florida. Seventeen people were killed and seventeen more were wounded, making it one of the world’s deadliest school massacres. The perpetrator, 19-year-old Nikolas Cruz, was identified by witnesses and arrested shortly afterwards. He confessed, according to the Broward County Sheriff’s Office. He was charged with 17 counts of premeditated murder and 17 counts of attempted murder. So, based on these results, one can ask: Why did Nikolas Cruz confess to the Broward County Sheriff’s? 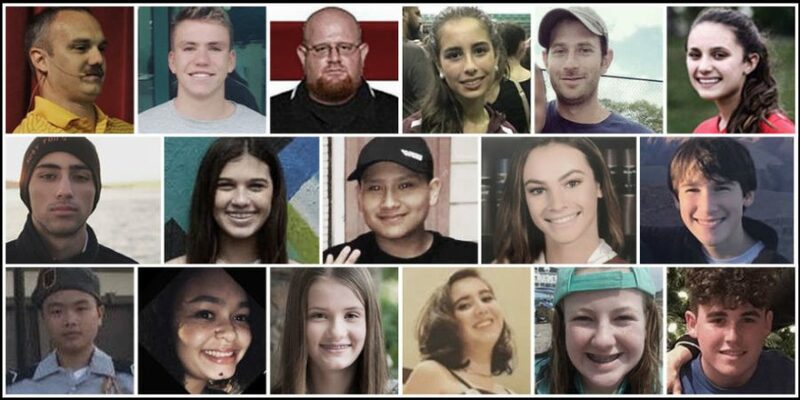 What death records did the Broward County Sheriff’s Office use to charge Nikolas Cruz with 17 counts of premeditated murder and 17 counts of attempted murder? Like so many of these “mass shooting events”, we are left with more questions than answers. Dan Cromer, an IT expert, was the first to discern that the audio from the Las Vegas concert was too high quality and had been prerecorded with sound effects of machine guns and military weapons, which were being complemented by special visual effects and an audience seeded with crisis actors. His research is based upon pubic records. Please contact the editor regarding any possible discrepancies.